Kamal Hossain started his legal career after completing his BCL degree from Oxford University and the Bar in 1958. During military rule he defended the freedom of the media, political freedoms and civil liberties in the courts, and was one of the counsels for Bangabandhu in the Agartala Conspiracy case. He accompanied the Awami League team to advise and work on constitutional matters in the Round Table Conference called by General Ayub Khan in 1969. Soon after that he joined the Awami League and participated in the negotiations held with General Yahya Khan and his generals in 1971, before the military attack. He was elected to Parliament in 1970 and 1973 and after independence he was appointed as Minister of Law and Parliamentary Affairs (1972-73), and was appointed as Minister o Foreign Affairs and Petroleum and Minerals. 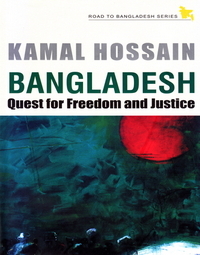 Kamal Hossain is a senior advocate in the Supreme Court of Bangladesh.